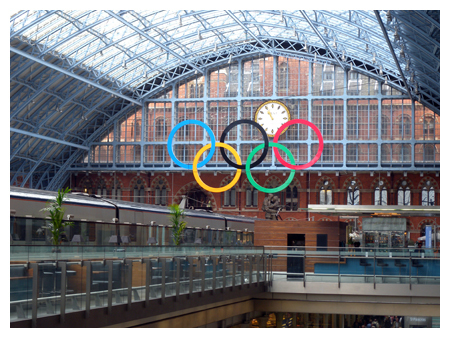 We've purposely arrived with plenty to time to spare to explore St Pancras station and we had originally planned to drop our bags off at checked luggage so we could explore unencumbered (by explore we mean have something to drink at the Champagne Bar). 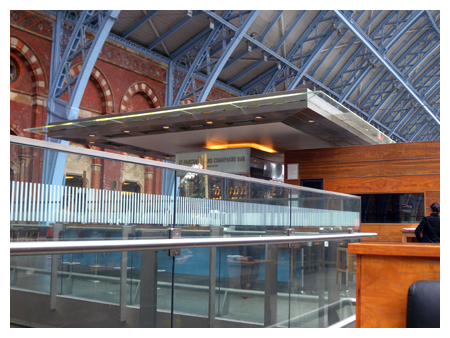 Naturally, checked luggage is at the furthest point in the station to our present location at the Eurostar terminals. As we neared the drop off point, we spied the rates - something like £8.50 per bag. We looked at each other and quickly decided we rather keep our bags and spend the cash on drinks instead. We plodded on, taking the nearest elevator to the upper level. After taking the obligatory photo of the arched roof we headed towards the left of that photo and arrived at the champagne bar. To our pleasant surprise, it is extremely spacious and there's no problem at all with arriving with your luggage. 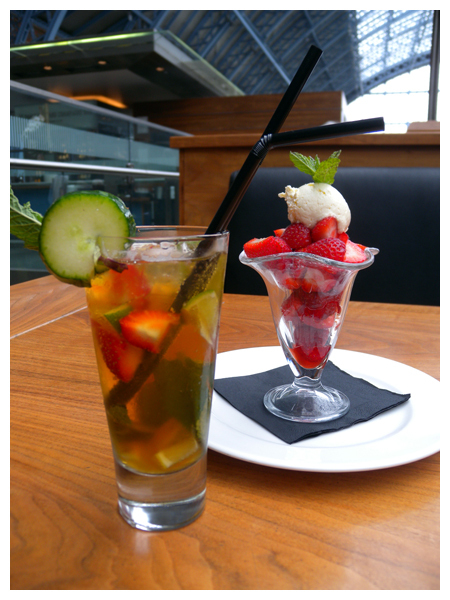 a classic Pimms accompanied by Strawberries and Cream. I have to say that the strawberries were absolutely delicious, the tick every box - sweet and ripe and bursting with flavour, they are everything you'd hope they would be. 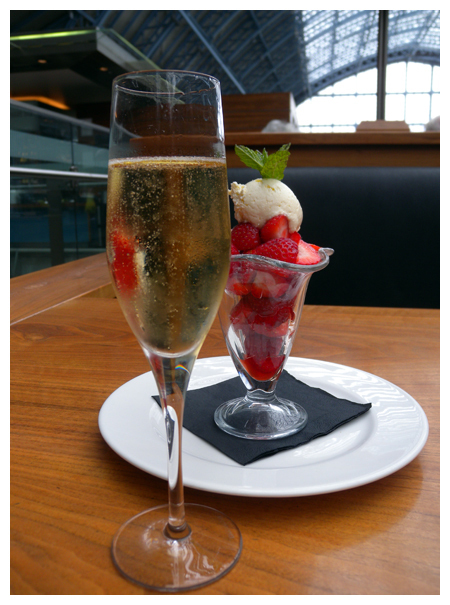 Paalo settles for a refreshing glass of Besserat de Bellefon Cuvée des Moines Brut. 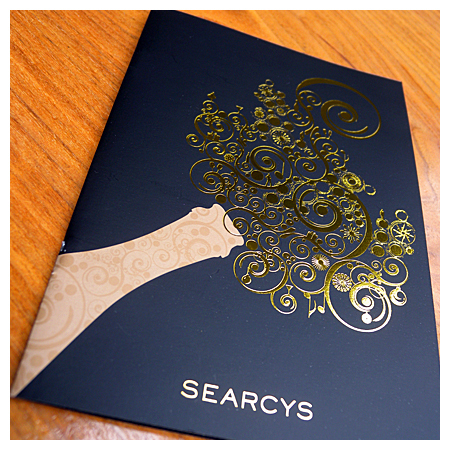 As this is the start of our break, we decided to treat ourselves to a little more bubbly. 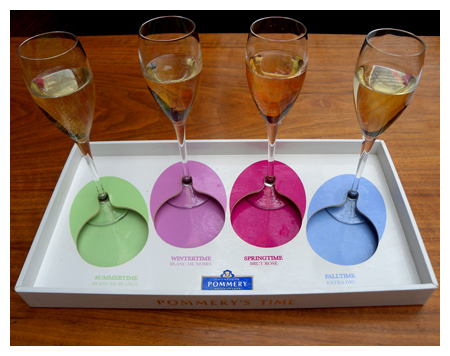 Why settle with one champagne when you can have four!